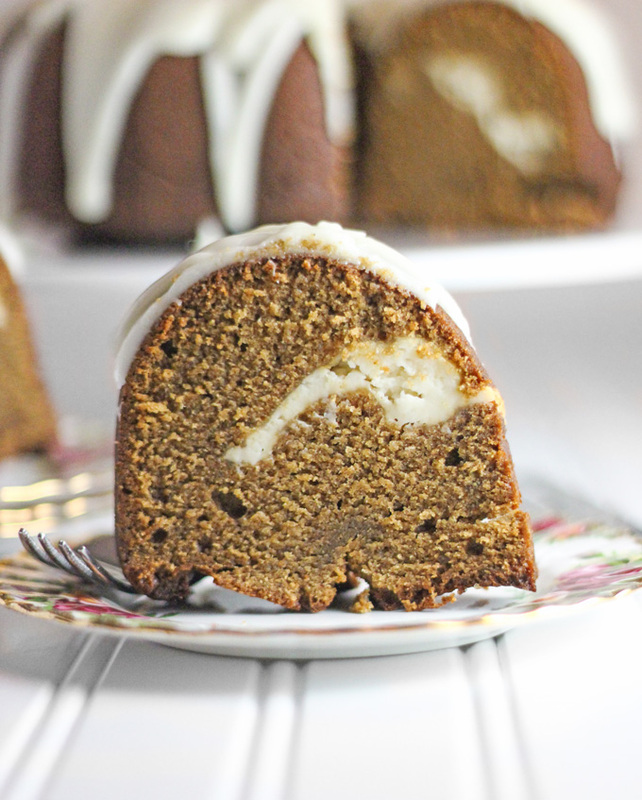 I think gingerbread is one of those fall/winter flavors that sometimes gets neglected. I have to say it was never really a love of mine until I briefly went to college in Winston-Salem. In Old Salem there is a restaurant called the Tavern, which, at least way back when I was there, served gingerbread with lemon sauce for dessert that was just about the best thing ever. This is not at all that recipe, but it is what inspired the gingerbread-lemon combination. Anyway, as I was saying, you just don’t see that many gingerbread recipes out there. But, it really is a great fall or winter flavor. It is perfect for Christmas or as alternative to the usual pumpkin at Thanksgiving. 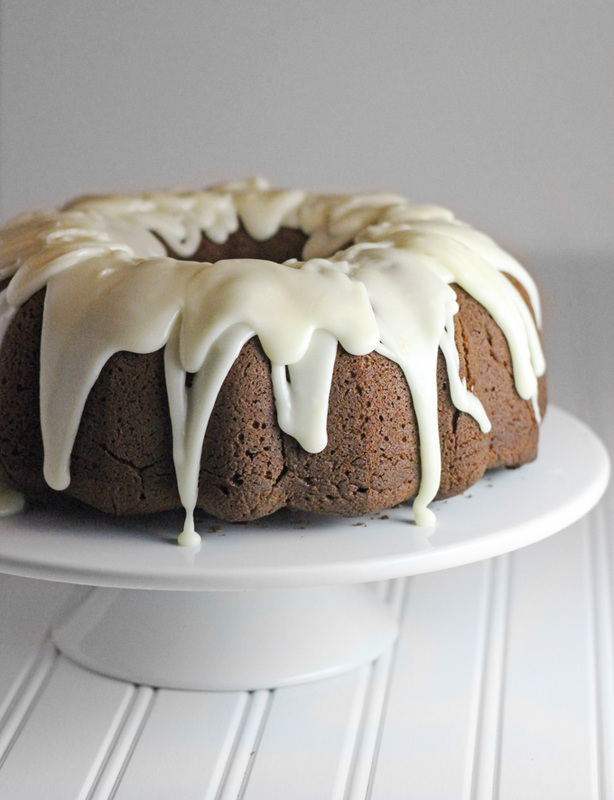 And, this cake is a big pretty bundt cake with a filling and glaze that is sure to impress your guests without the difficulty of layers and decorating. This recipe is an adaptation of Southern Living’s Two-Step Pound Cake, which means it is super easy. You just dump all the ingredients into the mixer and mix, pour it into the pan (greased and floured), and bake it. There is no creaming, no adding flour alternately with milk, or eggs one at a time. Just mix and bake. I will say that it does take a while to bake though, but it is a big cake, so that is to be expected. The glaze is also an adaptation of Southern Living recipe. This time it is from their Pumpkin Rum Cake, though I doubt you would recognize it as the flavors are totally different, but I wanted that super thick fudge-like glaze. Let me tell you, lemon is the way to go. I almost made myself sick scraping the bowl to eat the last little bit. This is just so good. Add all ingredients to the bowl of an electric mixer and mix on medium until all are well combined. Set aside while you make the cake batter. 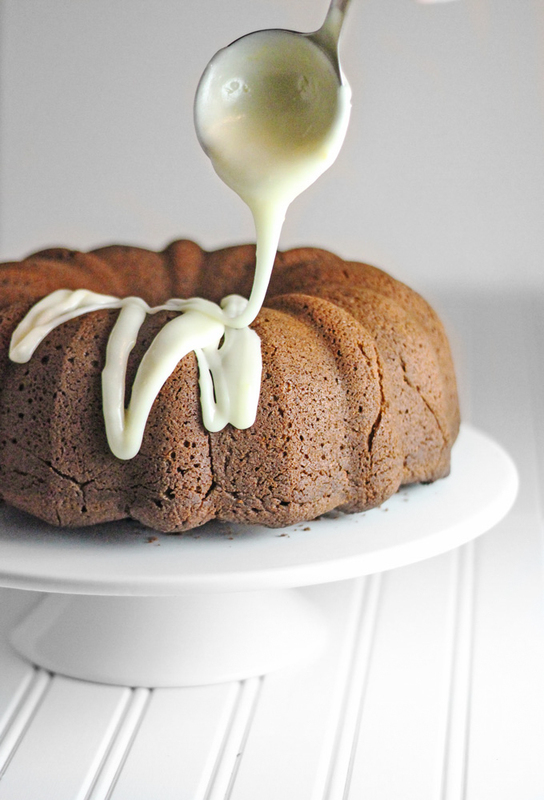 Grease and flour a 12-cup bundt or tube pan or spray with Baker's Joy or something similar. Place all cake ingredients in the bowl of an electric mixer in order. Mix on low until combined enough that turning up the power won't make a mess. Increase speed to medium and mix until well combined. Put half of the batter into the prepared pan. Top with the filling leaving a little space between the filling and the edges so that the cake covers the sides. Bake for approximately 1 hour 30 minutes or until a wooden pick inserted into the middle comes out clean. Cool on a wire rack in the pan for 10 minutes. Invert cake over the wire rack to remove from the pan. Place confectioners' sugar in a bowl. In a medium saucepan stir together lemon juice, lemon zest, sugar, and cream. Add butter and heat to boiling (butter should be melted at this point). Boil stirring constantly for 3 minutes. Pour over cake and let cool until set. 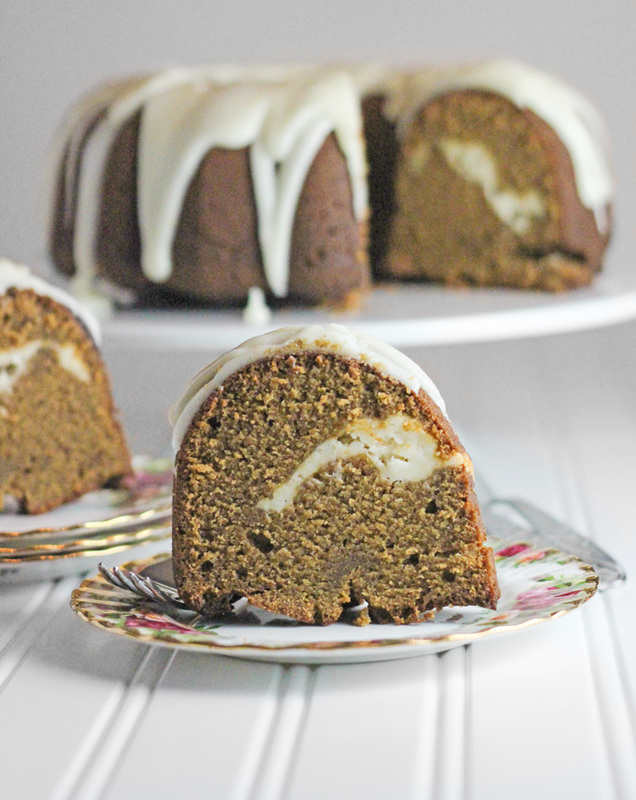 This gingerbread flavoured bundt cake looks so delicious, loving all that glaze going on and how moist the cake is especially. Wish I had a slice to devour right now!